AlyssiaRose: The Birth of Gaming Diaries! I've mentioned a few times on my blog that I play a fair amount of video games, this is something that I have always wanted to share on here, but never really found a way to make it work. I did start writing Animal Crossing Diaries which you can find here, and here. However I just couldn't keep up with playing Animal Crossing all the time. So what I have decided to do instead is keep a weekly/fortnightly diary of all the games I am currently playing and the progress that I have made. With that in mind, these posts may contain spoilers, but I will always put a note at the start of each post. So what have I been playing this week? Tim and I decided to rescue the very neglected Wii from my mum's house and bring it home for the summer. 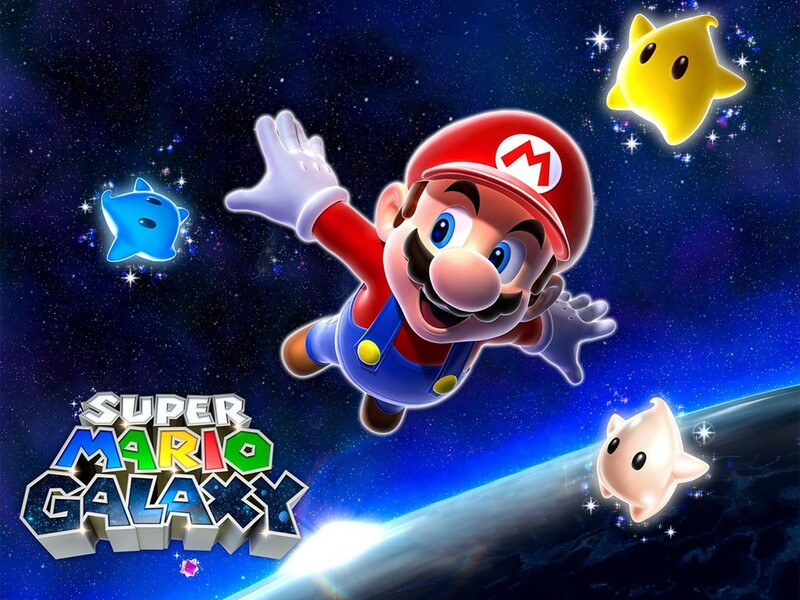 This means I can enjoy one of my all time favourite games Super Mario Galaxy. Which is one of the very few games I have actually ever completed (i'll be the first to admit that I don't have a great attention span when it comes to gaming). If you've never played this game before it can be a little confusing. 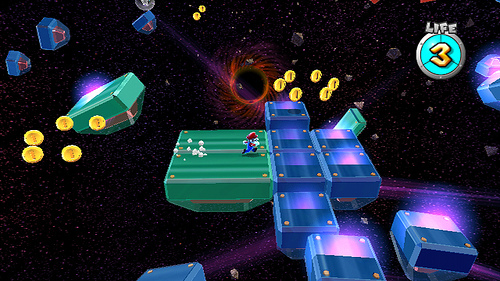 Each level consists of different planets in a galaxy, and these planets can be all manner of weird shapes and sizes with different gravity rules, meaning at times it can get a little disorientating. You can sometimes run the whole way around a planet, but then other times you can fall off of an edge and get sucked into a black hole. It's all about working out the way in which the gravity works in that galaxy, and following it's rules. I've started this game again so many times that the first three observatories are engrained in my memory forever, so much so that I breezed through them in the matter of a few days of the game arriving on my doorstep. So where am I up to now? 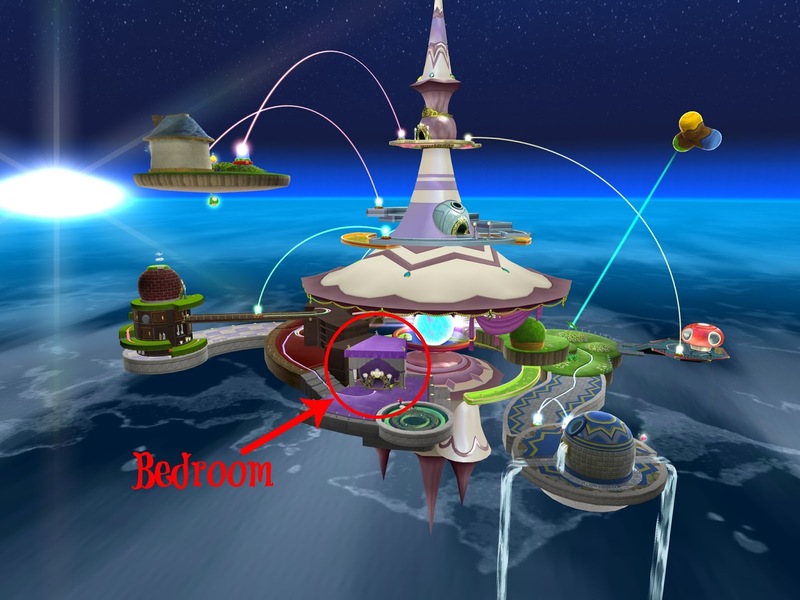 I'm currently on the fourth observatory which is called 'The Bedroom'. This is the first of the observatories in which I don't actually remember the galaxies, and also the first in which I have managed to lose almost all my lives... The difficulty level has seemed to jump dramatically, and I can't tell whether it's me, or the fact that I can't remember these levels. I've gone from a healthy 16 lives, to a mere 5... to say I'm struggling is an understatement. The galaxy I am struggling with the most is the Dusty Dune Galaxy, which has quicksand that makes you instantly die if you touch it. I have lost SO many lives here... I'm having what I call a 'cool off' period, I always do this when I get stuck on a particular level, I switch the game off and go and do something else or play another game and come back to it later. Because I find if I keep going I get more stressed and ultimately mess up even more. Does anyone else do this? During my cool off periods and just in general every time I am bored and pick up my phone I have been completely obsessed with the Magic Piano app from Smule. You can play a number of awesome songs with different difficulty levels. Well that is if you pay a subscription fee! However on Iphone you can get a 7 day free trial if you subscribe, which you can then instantly cancel, but your free trial will still work! There are a number of Disney songs on this that have become my new obsession to play, and there are daily challenges, so you can see where you rank against the other players. That's about it for my Gaming Diary this week, let me know in the comments what you have been playing, and happy gaming!